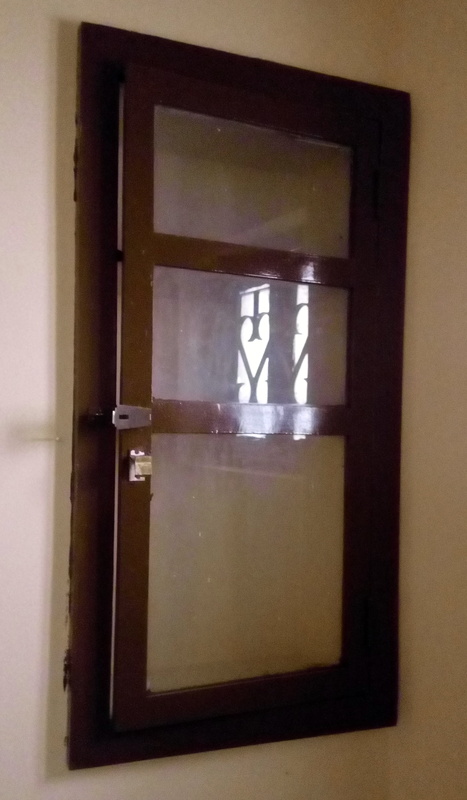 When we were looking to buy an additional mirror for one of the rooms, none of the ones available in the store matched what we wanted. Either they were too garish with elaborate frames and fancy shapes or a size that was not suitable for us. 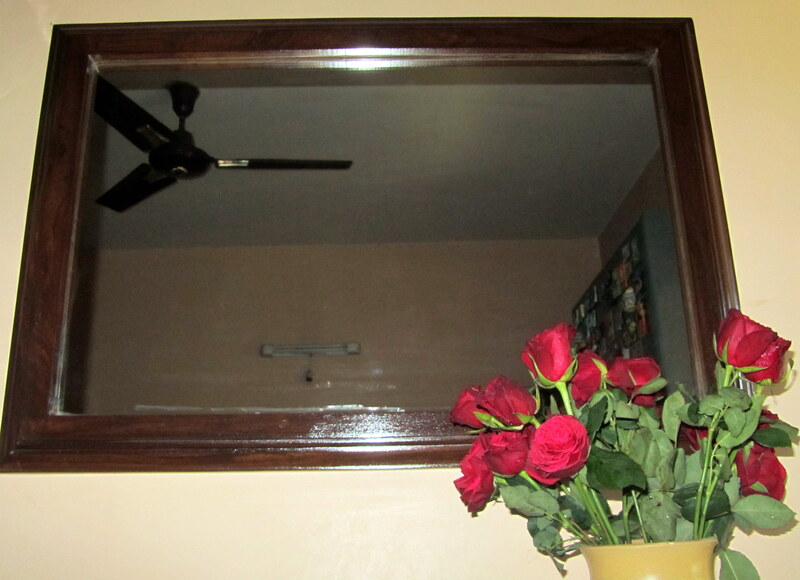 All I wanted was a simple rectangular mirror with a solid teak colored frame. 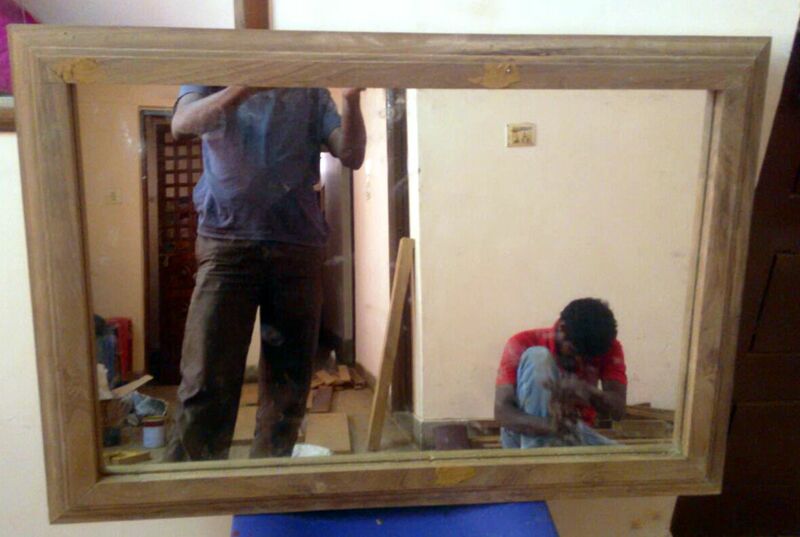 The mirror was bought separately and the wood was then cut and assembled into a frame. As the earlier frame was old and painted, I got the carpenters to chip the paint off so that it could be polished to highlight the intrinsic texture and patterns of the wood. They did a great job and the mirror turned out neat and simple just as how I wanted it to be! Also, it was a great way to reuse wood that is anyway such a precious and valuable commodity in today’s times. This is fabulous. It is nice to see you being so conscious about recycling and it looks totally new. Hats off. Thank you! I am so happy you liked it. Love this!! I might just have to give the project a try! Great idea, I’m doing something similar in reverse! Turning a mirror into a frame for a wedding list with strings and hooks!